Jiangshi fiction, or goeng-si fiction in Cantonese, is a literary and cinematic genre of horror based on the jiangshi of Chinese folklore, a reanimated corpse controlled by Taoist priests that resembles the zombies and vampires of Western fiction. The genre first appeared in the literature of the Qing Dynasty and the jiangshi film (simplified Chinese: 僵尸片; traditional Chinese: 殭屍片; pinyin: Jiāngshīpiàn) is a staple of the modern Hong Kong film industry. Hong Kong jiangshi films like Mr. Vampire and Encounters of the Spooky Kind follow a formula of mixing horror with comedy and kung fu. Fictional accounts of jiangshi were included in Qing collections of ghost stories and other supernatural tales. They are featured in the story A Corpse's Transmutation (Shibian) in the Shuyiji collection, A Vampiric Demon (Jiangshi gui) and Spraying Water (Penshui) in Pu Songling's Strange Stories from a Chinese Studio, and the The Demonic Corpse (Jiangshi gui) in Dongxuan Zhuren's Shiyiji. In Spraying Water, the animated corpse spews a liquid that kills the wife of a government official and her two servants. A traveler is chased by a jiangshi in A Corpse's Transmutation, which killed three of his companions. There are thirty stories of jiangshi in Zi Bu Yu, written by Yuan Mei. Qing writer Ji Xiaolan provides a detailed description of jiangshi folklore in his book Yuewei Caotang Biji. 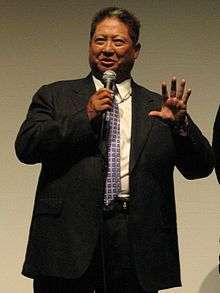 Sammo Hung directed the jiangshi films Encounters of the Spooky Kind and Mr. Vampire. In Touhou Shinreibyou ~ Ten Desires boss of 3rd stage — Yoshika Miyako is jiangshi. The video game, Sleeping Dogs, which takes place in Hong Kong, features an expansion called Nightmare in North Point. The expansion is based on Chinese horror and folklore and features jiangshi as enemies to fight. Jiangshi (going by their Japanese names of Kyonshi) are the primary enemies in the Nintendo Entertainment System video game, Phantom Fighter. Hudson, Dale (2009). "Modernity as Crisis: Goeng Si and Vampires in Hong Kong Cinema". In John Edgar Browning and Caroline Joan (Kay) Picart. Draculas, Vampires, and Other Undead Forms: Essays on Gender, Race and Culture. Lanham, Md. : The Scarecrow Press. pp. 203–234. ISBN 978-0-8108-6923-3.